What's hot at Cisco Live! There were of course some other technologies discussed at the show. 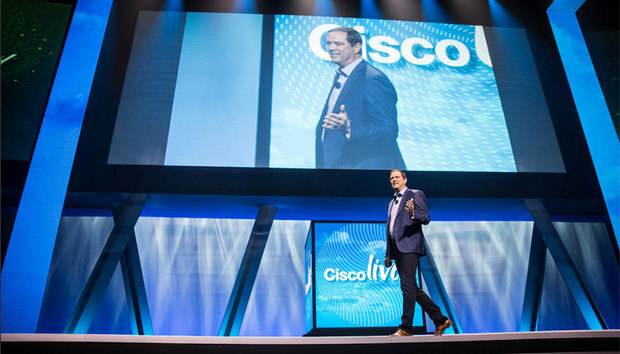 Here we take a look at some of the hottest topics from Cisco Live! Cisco’s focus on security and the acquisition of key companies was on display at Live! as the company enhanced key technology it has acquired from technology companies in the past couple years. A couple of the key announcements included Umbrella Roaming which Cisco said is a cloud-delivered protection that is the simplest way to remove off-network blind spots, guarding roaming employees wherever they work. With Umbrella Roaming, now embedded as a module with AnyConnect organizations end users can be blocked from reaching malicious Web sites even when their devices are disconnected from the corporate network. This is technology gleaned from Cisco’s purchase of OpenDNS last year. Cisco continues to massage key new capabilities into its Spark collaborative messaging package. At Live!, the company said it was working with the messaging company Gupshup and API.AI so more developers can bring their bots into Spark. Once the notion that super competitors Cisco and VMware might work together was laughable, but not so any more it seems. There does seem to be some customer pressure for the two to work together and comments from Cisco execs in the past few months has only fueled such speculation. At Cisco Live! Zorawar Biri Singh, CTO and senior vice president for Cisco's Cloud Services and Platforms, said the company has a roadmap that could includes convergence between Cisco's ACI and VMware's NSX platforms. IBM blogged that the star if its Cisco Live! booth was its own Nicole the Cognitive Robot. “Showcasing Watson’s ability to understand and engage in natural-language conversations, Nicole charmed visitors including Cisco CEO Chuck Robbins, who laughed heartily at Nicole’s humor,” IBM said. What would Cisco Live! be without a couple cool bands to entertain the troops. This year it was Maroon 5 and Elle King.